Do I require a Health and Safety Policy Statement? A limited company, with five or more employees will require a health and safety policy statement. Will I be required to create and offer a Risk Assessment? If you are requested to produce one or if you are, again, a limited business employing five people or more you will need to provide a risk assessment. Am I required to produce Method Statements? Yes, if you are asked for them, however if you prefer to take a pro-active approach then you can boost your reputation by having them ready. Should I supply Permits to work? This is dependant on the type of task, but you may require a permit to work. The requirement for a permit should be emphasised when the job requires, working in confined spaces, working at heights, the use of heavy plant works, electricity, using lifting equipment and hot works. 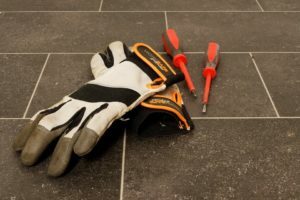 Should I have Employers Liability? Liability insurance is a requirement as soon as you employ someone regardless of the quantity of staff. Should I have Public Liability? Yes, it is essential if any negligence on your part could cause injury to any person apart from your own employees. Should I purchase and offer Personal Protective Equipment? If you are a limited business, then you must make available PPE for all your employees at no cost to them. This should be emphasised on your risk assessment in the control measures section. What should I do about site access? You must ensure that work is no started on site until reasonable steps have been taken to prevent unauthorised access. How do I explain onsite hazards? Advise the client of the hazards for task you are going to undertake and inform them what steps you will take to prevent such incidents from happening (control methods on risk assessments). What checks should I carry out on workers I employ? You are required to check that all workers you employ have the skills, knowledge, training and experience to carry out the work, or that they are in the process of obtaining them. Do I have to be a member of a Professional or Trade body? Holding trade membership should enhance your reputation and possibly your levels of competency, as you will be required to stick to to certain protocol and standards, such as CHAS. Should I provide any data from previous accidents? The client may request this information and it should be divulged if they do. Should my client offer me a consultation regarding Health and Safety? It is good practice to establish the safe working of any task and you could be invited to be a part of the process. This can be a great way to start a project-, as everyone will be on the same level of understanding as to the importance of Health and Safety.